The Six-Gun Tarot: aka "Cowboys and Injuns and Elder Gods, oh my!" 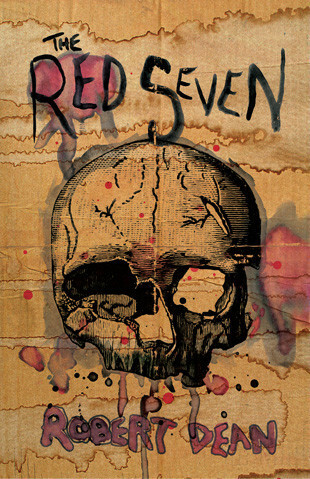 If you are a fan of westerns and/or revenge tales, The Red Seven is worth checking out and adding to your bookshelf or library. The Red Seven is more akin to a classic western revenge tale, with a big Quentin Tarrantino vibe to it. In the same vein as Kill Bill, a man known only as the Ghost goes on a rampage to eliminate the titular gang the Red Seven, seven unique individuals responsible for killing the Ghost’s brother and his family in a violent and savage attack. The book is broken into seven parts, each part focusing on the Ghost’s takedown of each member of the gang across the United States of the late 1800’s. While reading it, I couldn’t help but notice the similarities to the aforementioned Kill Bill films, and that is not by accident. Dean claims Tarrantino’s style and those movies in particular were a huge influence on this book, and it definitely shows. Not that this is a bad thing, as Tarrantino is one of my favorite directors, with the Kill Bill films being among my favorite movies. Dean’s style in this book, while more straight-forward than Tarrantino (as opposed to jumping around), does feature Tarrantino’s more concise style of storytelling. Very rarely does the story go into extraneous details and instead focuses on the story at hand. While there is some backstory and a small amount of jumping around, it’s always done with a purpose and never pulls you out of the story. The end result is a short, but enjoyable read with enough detail to properly explain everything, but not so much you get distracted or bored. The Red Seven may turn off some readers due to some very graphic descriptions of murder throughout the book, but considering this is intended for adults, that kind of thing comes with the territory. Considering the subject matter, you should go in with that kind of expectation anyway. At the same time, I’ve definitely read bloodier and more graphic books-Dean’s first book comes to mind-so I never got to the point where I was cringing or anything like that. The subject matter may turn some readers off, as the western genre is definitely not for everyone. Generally speaking, I’m not a fan, but there are always exceptions to the rule. Also, there are some very noticeable punctuation errors and incorrect/missing paragraph indentations, but they are not a deal breaker for me, and I don’t blame the author, as mistakes will happen. If anything, I blame the editor for not catching them before going to print. On a whole The Red Seven is a really enjoyable revenge tale that holds your attention and is hard to put down. If you’re a fan of that kind of story and/or western novels, this is a good book to add to your collection. Robert Dean is a gifted writer, and I look forward to whatever he puts out next.